The multimodal transportation app Cowlines says it is set to revolutionise urban mobility, ease congestion and reduce greenhouse gases from transportation with the official launch of a new app. 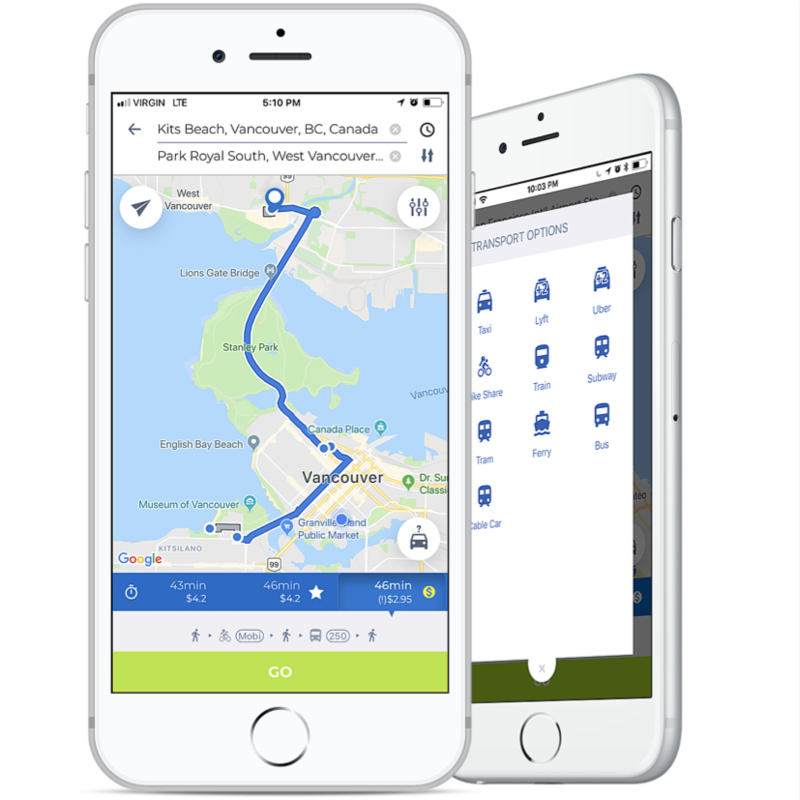 The company says that since its beta program was released in March, it has “consistently beaten” Google Maps when it comes to car-free travel time around Vancouver and the Fraser Valley, regularly delivering up to 40% faster trips around the Lower Mainland. The app provides three route options, fastest, cheapest and what it calls “best”, giving commuters the ability to track CO2 emissions so they can choose the most environmentally friendly transportation options. The company says Greenlines’ GHG Modal Shift Optimisation Methodology enables transportation providers as well as Governments to track and report on achieved GHG emissions reductions in the diverse transportation sector and in doing so, it opens up the opportunity for a cost effective evaluation of transportation solutions towards strategic GHG emission reductions targets in the transportation sector.